If you are searching for a Yorba Linda DUI lawyer, the Law Office of Barry T. Simons may be your best option. The collective experience and specialized training in DUI case law have made our firm an ideal choice for those who have the challenging prospect of a DUI charge. We are familiar with the area and the judges and prosecutors that oversee your DUI case out of the North Justice Center Courthouse. 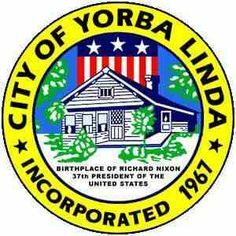 The city of Yorba Linda contracts with the Orange County Sherriff’s Department for Police Services. The Law Office of Barry T. Simons has decades of experience investigating the conduct of the sherriff’s department on DUI investigations. Our experienced staff and attorneys will review any Patrol videos or Mobile Video System recordings that may be available after your arrest to provide you with every available defense to try and win your case. If you have been arrested and charged with a DUI, it is important to act quickly. In order to keep your license, you need to schedule a hearing within the first 10 days. After that, any inaction will result in you definitely losing your license. Moreover, you may become subject to further fines and jail time. Our legal team can create the most effective defense plans when we have sufficient time, so we strongly recommend that you contact us as soon as possible. The Law Office of Barry T. Simons is dedicated to the speedy and successful resolution of our clients’ DUI cases. We understand how truly overwhelming this process can be, so we will do everything in our power to help you retain your license so that you can move on from this incident. While a DUI is a serious affair, having the right attorney can make a huge difference.